The Nile River is an international river that covers eleven countries including the Republic of Sudan, Congo, Kenya, and particularly Egypt. It has two major tributaries the Blue Nile “the source of most water and Silt“, and the White Nile “the Headwaters”. 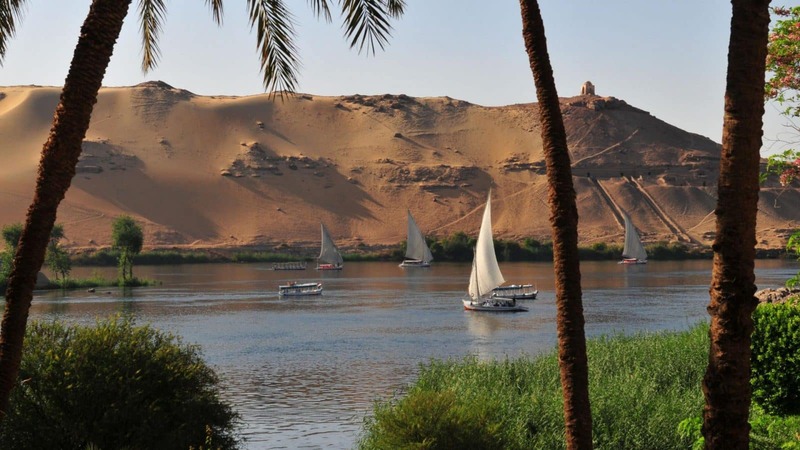 The Nile River has always been important during the Egyptian Civilization and Sudanese Kingdoms since ancient time. Most cities in Egypt lie along these two parts of the Nile. The Nile is a major river in northeastern Africa. It is the longest river in the world, about 6853 km long. One of the most interesting myths in the ancient culture is the tale of god Osiris who has been betrayed by his brother god Set. Set was jealous of his brother so he decided to plan to kill him. He made a trick, which can be plotted in a coffin that has the size of Osiris’ body. His brother said that if the coffin was in his size, then he would take it as a gift. When Osiris sit in the coffin, his brother immediately closed it upon him and threw in on the Nile. Isis, Osiris’ wife started searching for her husband to give him a proper burial but some children told her where to find him which shows the divination of the Nile. Isis found her husband’s body and got him back to life again. His brother cut him into pieces and scattered them into different Egyptian locations. Isis tried to collect these pieces to revive her husband but she couldn’t find his pines, which Set threw in the Nile. Osiris couldn’t return to life again and he became lord of Afterlife and Judge of the Dead. The Nile was made fertile because of Osiris’ pines according to the myth. The Ancient Egyptians admired the religious life that is why they had many gods and goddess. Among these gods were; “Hapi”, the Nile god, who was the god of the annual flooding of the Nile and Sobek, who is associated with the Nile crocodile. The Nile used to provide the ancient Egyptians with fertile land. The soil along the Nile was rich with different growing crops, which are wheat “the main Egyptians staple food”, papyrus “that were used in paper, baskets, and sandals”, and flax “that was used in manufacturing linen clothes for clothing”. It has always been the life source for all living creature since the Stone Age. The Nile has made life in the Egyptian desert possible. It provides drinking water, a source of irrigation for crops, and the most important thing is the fertile soil used to grow crops. Without the Nile River, the ancient Egyptian Civilization would not have survived. It has made it easy for cities and civilizations along the Nile to grow. Through the Nile, The ancient Egyptians have developed methods for the irrigation system, which helped them to grow and to have such a unique civilization. The Nile River is considered to be a weapon that protects Egypt from the upcoming water war. Egypt without the Nile is just a desert. Why the Nile River Flood? It floods because of rains in Africa, especially in the Ethiopian highlands and melting snow. The Ancient Egyptians used to hold a festival every year for the Nile as they thought that the Nile flooded because of the goddess Isis. They also offered human sacrifices as an appreciation for Isis. Every country’s dream is to reach economic stability. The Nile provides such stability for Egypt and the whole Egyptians. It provides new projects, such as the High Dam, which provides Egypt with a great amount of electricity to run up machines. The second project is Lake Nasser, which is the biggest artificial lake that attracts tourists from around the world. The third project is the Tushka Project, that is not completed yet. 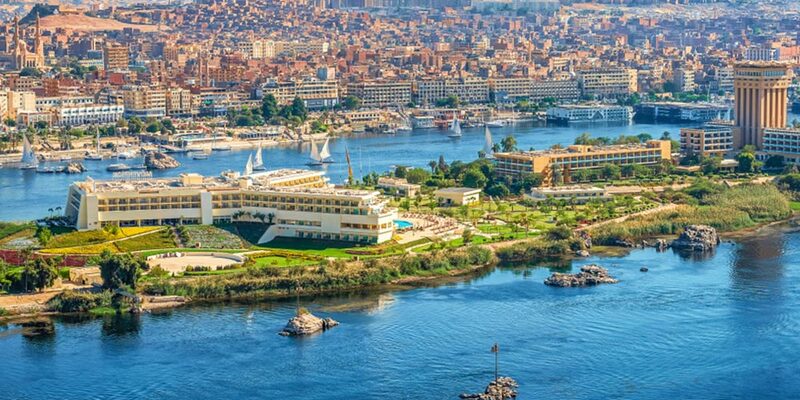 The best thing to do while being close to the Nile River is having a Nile Cruise which allows you to explore an amazing world related to the great Ancients. Have a Nile Cruise from Aswan to Luxor to discover the great Valley of the Kings, Hatshepsut Temple, Colossi of Memnon, and the astonishing Karnak Temple. Or you can have a Nile Cruise from Luxor to Aswan to see the amazing Nubian life portrayed in the Unfinished Obelisk, Philae Temple, and the great High Dam.